Professor Park obtained M.S. and Ph.D in Pharmacology and Toxicology under Dr. James P. Kehrer at the University of Texas at Austin in 1990. During Ph.D, she studied the effect of oxidative stress on cardiac ischemia and reperfusion injury using animal models. The title of her dissertation is “The role of reactive oxygen species and depletion of energy in hypoxic reoxygenation injury”. Her first postdoctoral fellowship started in Department of Biochemistry in Dr. Dean Jones’ laboratory at the Emory University School of Medicine in 1990. In 1995, she became an Instructor in the Department of Pediatrics, using molecular biology techniques with lung type 2 cells. She came back to Emory University in 2004. She has been engaged to develop metabolomics pipeline using 1H NMR and LC-MS. In 2009, she became an assistant professor at Dept. of Medicine, School of Medicine, Emory University. 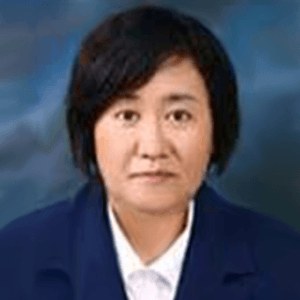 In 2013, she moved to the College of Pharmacy, Korea University, Sejong City, Korea as an associate professor. In the following year, she was promoted to Professor at the same department. She has published 38 papers from metabolomics research.